Seeking Interns for Fall 2016! Are you a film or photography student looking to develop a portfolio of promotional videos and graphics? Are you interested in creating fresh media content in a diverse setting? Whole Children has a communications internship program that offers these opportunities and more. 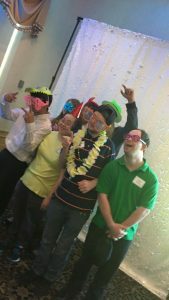 Whole Children provides recreational, social, and enrichment programs for children and teens of all abilities, including those with special needs. As our communications intern, you will have the opportunity to work in an inclusive office space and assist in showcasing Whole Children’s community events, programs, and services. We value your input! This internship is what you want to make it, so feel free to let us know if you have a specific interest you want to pursue, or a new skill you want to develop. We want your experience here to be productive and beneficial, and the best way to ensure that is by doing work that you are motivated to do! The following video was produced by our fabulous intern, Jack Kapinos, pictured above! Whole Children is conveniently located on the Route 9 bus route in Hadley, and is easily accessible from any of the 5 colleges. You may receive academic credit for the internship, and work hours can be arranged to fit your schedule. Whole Children photo booth fun at The Association For Community Living’s Annual Dinner. Last night, The Association For Community Living held its Annual Dinner at The Log Cabin in Holyoke and, per usual, it was a delight. Whole Children had a number of exciting moments, including a performance by our theater group! Our students treated dinner guests to a dance mashup of some of Andrew Lloyd Webber’s biggest hits. They were lead by instructor Matt Meers, who later on was fittingly honored alongside chorus director Nancy Janoson for their outstanding work as performing art teachers. Also among those honored was Ruth Wade for all of her hard and fruitful work in organizing Whole Children’s Wild Goose Chase. All of the awards were much deserved, and we are very proud of each recipient’s passion and dedication. Each award was presented by Barbara Pilarcik, our beloved Executive Director who is sadly retiring in August. Since this was Barbara’s last annual dinner, she was introduced with a surprise rap performance from Brian Melanson and Chris Harper that brought smiles to everyone’s faces, most of all Barbara’s. After the rap, which detailed her many career accomplishments, Barbara treated everyone to a few dance moves of her own before taking the podium. All in all, it was a fantastic night and we’re already looking forward to next year! Join us for a February film festival! Whole Children and Five College Realtors will showcase a series of short documentary films from the Sprout Film Festival on Sunday, February 28 from 4-6 pm in the Cole Assembly in Converse Hall at Amherst College for a $5 suggested donation (to support Whole Children). Come enjoy the films and stay afterward for an informal reception and discussion with local filmmaker, Ted White. White’s powerful film The Unexpected Gift: A Father’s Story, is one of six films being showcased at the film festival; it explores how the birth of his daughter with Down Syndrome ultimately transformed his family’s life for the better. To take part in this meaningful afternoon of film, RSVP here. Thank you for letting me be myself!